EC135The H135 is a powerful, lightweight, twin-engine multi-mission helicopter that showcases top-notch technology while offering low operating costs. The H135’s high endurance and extended range enables this helicopter to perform a full range of mission requirements, while carrying more payload over longer distances than any aircraft in its class. 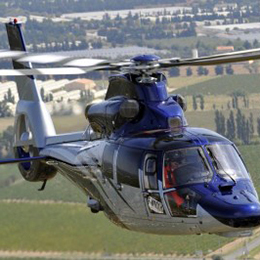 Incorporating a modern cockpit and avionics, as well as, Airbus Helicopters’ Fenestron® tail rotor and bearingless main rotor, the H135 is recognized for its high performance and outstanding maneuverability. 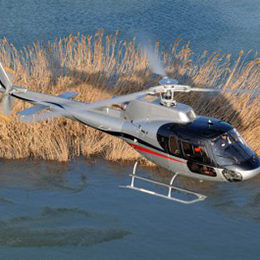 It is one of the quietest helicopters in its class. 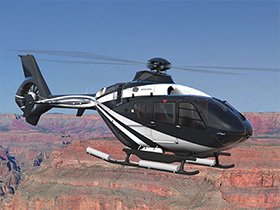 The H135 is approximately 6.5 db below ICAO standards. This is of particular interest to operators regularly flying over cities and in densely-populated areas, including emergency medical services and law enforcement agencies. Two FADEC-equipped engine options are available: Safran’s Arrius 2B2 “Plus” and the Pratt & Whitney Canada PW206B3. 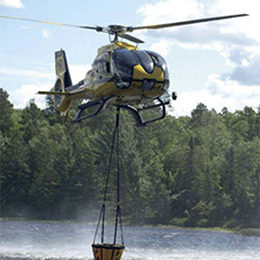 Both of these powerful, EC135reliable turboshaft engines provide outstanding performance and vital reserves, even in one-engine inoperative scenarios, along with low fuel consumption. 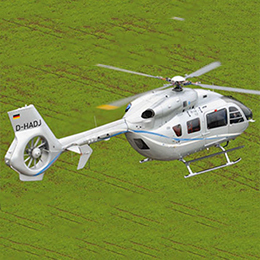 The H135’s simple, multi-purpose design, allowing for fast and easy maintenance and optimal dispatch reliability, is enhanced with an unrivaled variety of optional equipment.